Design Elements and more at BasicQ, the curtain rod supply store. You can find brackets to extend the projection of your curtain or traverse rod or if you need a shorter projection than what was supplied with your traverse rod, that is available . Center supports for additional support help prevent the curtains from sagging from the weight. Some of these brackets are compatible with other brands while others are designed for a specific curtain rod by the Manufacture. of all the parts and tracks available. Not only are they listed with images and descriptions, they are available in small and large quantities for shipment in 24-48 hours. 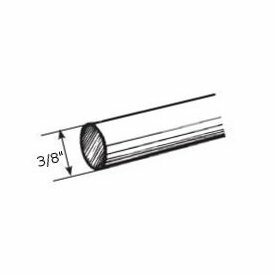 When parts break or get lost from curtain rod installation in commercial properties, BasicQ can supply you with the right part for the Kirsch Architrac curtain rod for repairing or replacing in a quick time frame. Online catalogs are available on most of the products offered, including the Kirsch Architect's Guide which has track and part diagrams to help you determine which part you need. Other commercial systems like the Graber ConTrack system and it's components are also available. Curtain Rod Help Guides From installation to finial size chart, this page is jam, packed full of helpful files for selection and installation of curtain and traverse rods. The Architect's Guide is very good with information on the different types of drapery heading systems. It includes a description of the Ripplefold, conventional Pinch Pleat and Accordia-Fold headers and suggested usage of each. Curtain Rod Finials for Studio Coordinates traverse rods all in one place for selection. Sometimes it is hard to find what you are looking for on an online shopping cart. Finding the best index system for the Shop owner is an on going job as he has to think like a consumer would instead of someone inside the industry. Several tools are out there to help, but suggestions from the users is always welcome. I have listed all the finial selections for the Kirsch Studio Coordinate decorative curtain rod for those looking for this system. I also find it difficult to cross reference a vendors product when cart owners make up their own sku numbers. This could be by design to make it harder for the customer for shop. I decided to use the vendors sku number to make it easier to shop the product. Selecting the right corner curtain rod. You have more than one choice when selecting a corner curtain rod. The simple solution is the standard curtain rod the is designed for the corner window. A variation of the standard curtain rod is the wide curtain rods with a corner bracket like attachment to connect the two rods in the corner. You can also get metal and wood poles for a more decorative look. These are also joined in the corner with a swivel socket that rotates 180 degrees. This factor makes it possible to use these same curtain rods in bay windows. Below are some of the products available to cover a corner or bay window. Swivel socket for estate ultra 2" decorative traverse rod. Single corner curtain rod 28"-48"
Rod stop or lock for estate ultra 2" decorative traverse rod.